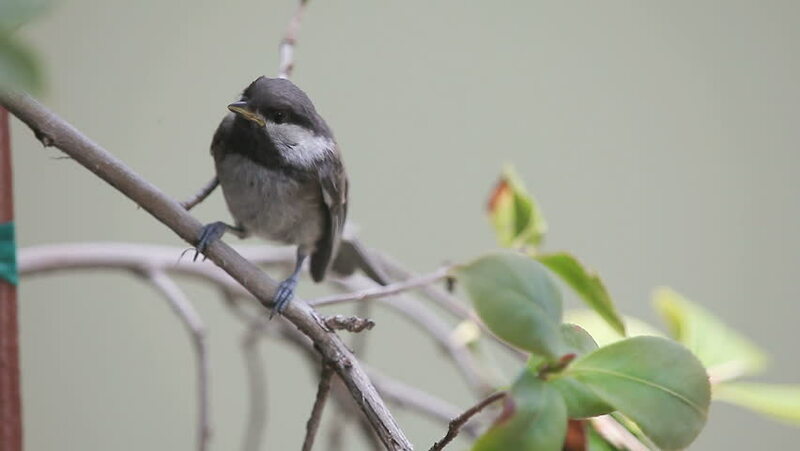 Recently-fledged chickadee shakes its wings, asking to be fed. 4k00:18A bird is eating banana fruit. 4k00:06Black crested bulbul (Pycnonotus flaviventris) drinking water in water bowl in garden.